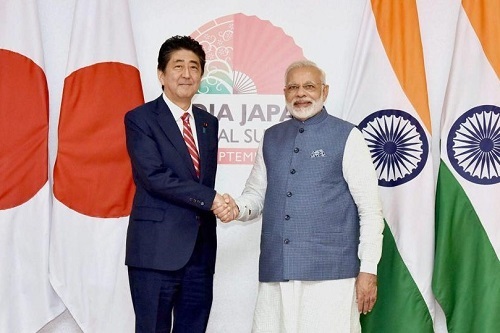 India and Japan – the two powerful economic giants in the region have achieved an exceptional sophistication for mutually beneficial cooperation in the last decade or so and more importantly in the past couple of years as their strategic space is constrained by a rising China. It is not only limited to the bilateral context but is aimed at expanding the benevolent footprint into South East Asia as well as Africa. India has been engaged with Africa for centuries in one way or the other while Japan has been a liberal spender by way of a tremendous ODA and investments. Hence, it is natural that both decided to work closely in Africa. This is a unique initiative of Synergies that could trigger a multiplier effect since the three physical country/regional components present a fine balance of requirement and availability be it in finance, expertise in capacity building, technology or investment, best practices or political will to execute. These in totality could comprise a real strategic partnership for global good. The three constituents in this matrix are at varying levels of development. Japan is the second or third largest economy, a leader in technology and ODA and above all looked at as a benevolent democratic economic powerhouse; India a country of continental proportions is on an ascendant curve and is at least a regional leader in this Asian century. More importantly, India the fastest growing major economy – in the decades to come could become 2nd or 3rd largest economy apart from being the largest functional democracy in the world. India is an acknowledged global leader in the sunrise sectors like the pharmaceuticals and Information technology several offshoots of which will guide and assist our lives in the times ahead. Besides India also has witnessed a peculiar existence of growth curves from underdeveloped parts in the country to highly developed regions within the same national matrix. India has led the developing world especially Asia and Africa through support for their independence struggles and in their quest for development be it through NAM, G-77, WTO or Climate Change or unconditional bilateral assistance.This continues in the context of international negotiations and discourse which remains the fulcrum of India’s development paradigm and foreign and economic policy at its core. Hence India is considered by most others as a preferable benign power. Africa, the vast continent comprising of 54 countries and huge natural resources, has been beset by problems of underdevelopment despite being the richest landscape of opportunities due to internal governance issues, colonisation, neo-colonialism, malnutrition and disease and has bypassed various industrial and economic revolutions in most parts -South Africa and couple of other countries are exceptions and have a varied and chequered history. However, given the right impetus and focused approach and direction Africa could lead the 22nd century. Therefore this trilateral collaborative effort through a credible and trustworthy institutional mechanism could be that trigger for a mutually beneficial developmental paradigm shift. Africa was exploited by multiple and competing colonial powers for over two centuries and the worst of that outcome was dehumanising exploitation and degradation of the population through who until a few decades ago and even now in some cases face racial discrimination. China has emerged as a major benefactor of the region in accordance with its medium and long-term global strategy. However, while utilising the available economic space it indulges in predatory neo-colonialist approaches that have raised questions about its motives and modus-operandi but has not reduced its engagement. China through its money power and financial muscle and quick and firm decision making has been able to exert the influence in a much bigger way and leaves a lasting footprint. I understand they are also changing tracks and tactics as they fear the Indo-Japanese as well as western focussed attention towards the continent. In India, we could take great pride in the fact that due to historical relations and engagement at people to people level Indians and India enjoyed a huge public trust and affection at the grass root level in Africa. Indian diaspora has been extremely successful in building bridges of trust and reliability over the centuries and have emerged as major stakeholders in the African developmental story. I recall President Obasanjo of Nigeria often mentioned to me that he knew India better than I did and that after the “Federal Government Indians were the second largest employers in the country”. The fact that a large number of African leaders and ordinary Africans were trained or educated in India created this positive critical mass that provides an exceptional edge to us. But in my view over the years that goodwill was squandered away due to apathy and ad hoc approaches of respective governments. There has been a hiatus ridden approach with high-level visits from India few and far between. Not to say that some major initiatives like Pan-Africa e-network project a brainchild of former President Kalam, had mapped a successful cooperation paradigm across the continent for tele-education, tele-medicine and connectivity. I am happy that though late in the day India did embark on extensive engagement with Africa through bilateral meetings and multilateral events like India-Africa Forum Summits and high-level visits. Since India follows a policy of “Cooperation without Conditions” broadly Africa does look up to India and considers it a benign yet wiling democracy that is ready to share its economic achievements and expertise with the continent and we should not flinch to take on that partnership & responsibility. At the India-Africa Forum Summit 2015, PM Modi announced a $10 billion line of credit apart from a $100 million Fund which entailed a new approach to engagement with the African continent. This will not only help finance the projects in African countries but will further contribute to capacity-building and education and industrial development. India has been awarding thousands of scholarships to African nations under the ITEC and ICCR programme India is the fifth-biggest investor in Africa, with investments over the past 20 years amounting to $54 billion, creating jobs for Africans since by 2034 countries of Africa will have a larger workforce than India or China. On the other hand, Japan has been an active cooperation partner in Africa with its huge assistance under the ambit of its resource and economic diplomacy that seeks to enhance export infrastructure to meet over $100 bn financing deficit for infrastructure projects. It has already invested $30bn under this initiative and is planning to invest US$200 bn in the proposed growth corridor. According to Japanese Business Federation (Keidanren), Africa is a regional priority and an emerging market for tripling their infrastructure sales. As indicated by KPMG in a report for AfDB “Africa provides an opportunity for $2.4 trillion. As many as 400 projects worth $70 billion have been discussed. So far investment of about $2.5 billion is already in the pipeline of which $1.5 billion is for the agriculture sector”. Japan’s Africa outreach is done primarily through the Tokyo International Conference on African Development (TICAD). According to various reports, Tokyo is concentrating on three important areas, in keeping with the focus of Japanese private sectors, including the Northern corridor, Nacala corridor, and the growth area in West Africa; resources and energy development; and urban development. Japanese investment will be affected partially by using the Enhanced Private Sector Assistance for Africa (EPSA), conceived in partnership with the AfDB. In addition, Japan under the Abe Initiative 2.0 aims to nurture “manufacturing and maintenance service personnel” and capacity building of technical personnel in the field of natural resource development. AAGC seeks to provide an alternative model of development and partnership between developed and developing countries/region for mutual benefit incorporating interconnectivity, infrastructure development and capacity building.The Indo-Japanese initiative hopefully has taken into account the shortfalls of the previous engagements. We can not play around with the pride of the Africans and think that we know what is good for them. I would recall a recent viral video of the Ghanaian President giving some lessons to President Macron of France underscoring that the Africans have to rise to the occasion and help themselves rather than depend on an external bounty, doles and advice. We should be mindful of the sentiments of the average African and their political, economic and strategic thinking and mindset and diversity. A joint collaborative approach and open-minded and open-ended approach will be greatly helpful. I am happy that AAGC in its conceptualisation sees Africa as a collaborator as well as an equal partner. This is evident from the fact that the Vision Document of the AAGC notes that the conceptualisation of the proposed growth corridor will be conducted by constituting “a joint study team with other think tanks and organisations in Asia and Africa.” In addition, the vision document also states that “contribution to the local society and economy” will be an important aspect that is going to define the operationalisation of the economic corridor. Thence it will lead to a unique “Win-Win-Win” Asia-Africa partnership. Amb. Anil Trigunayat is a member of the Indian Foreign Service. He has served in the Indian Missions in Cote d’Ivoire, Bangladesh, Mongolia, USA, Russia, Sweden and Nigeria, Libya and Jordan. In the Ministry of External Affairs he has worked in the Economic, West Asia and North Africa and Consular Divisions. Prior to his superannuation in May 2016, he served as Ambassador of India to Jordan and Libya and High Commissioner to Malta (June 2012 – May 2016). He is a post Graduate in Physics from the Agra/Kumaon University and also studied Russian History, Culture and Language at the Jawaharlal Nehru University, New Delhi. As a visiting fellow he also conducted research work on “WTO and Regional Trading Blocs” at the Oxford University. 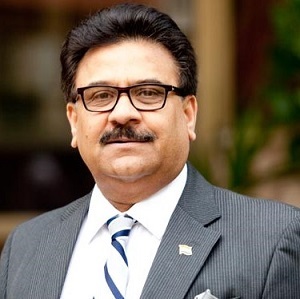 He is a member of the All India Management Association/Delhi Management Association as well as that of Oxford and Cambridge Society of India and the Association of Indian Diplomats (former Ambassadors). He is also the Honorary Member of the International Trade Council, Brussels. Currently he is steering a Committee on promotion of trade and investment with Africa and the Middle East at the Federation of Chamber of Commerce and Industries. He is also honorary Adviser to BRICS Chamber of Commerce.